3D printing and additive manufacturing has been proven to be a cost effective alternative to traditional manufacturing methods which frequently require significant investments be made for tooling or mold making. ​By nature of the technology selected, additive manufacturing can cut lead times from months to weeks, all while delivering high precision parts in quality finishes with the look and feel of stamped, machined, or molded parts. RapidMade is a dynamic and fast growing company committed to providing turn-key solutions for your design, engineering and manufacturing challenges. 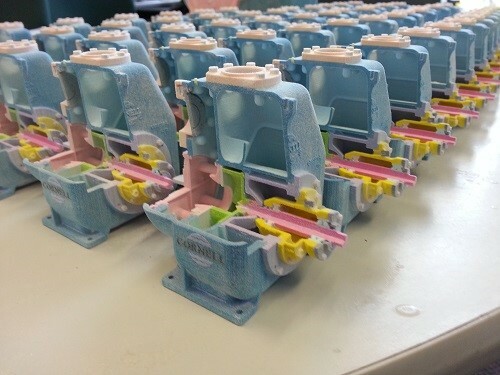 This includes a mix of traditional and emerging manufacturing technologies including plastic injection, CNC machining, thermoforming, and contract manufacturing services for prototype development and small lot manufacturing. For more information regarding RapidMade capabilities and services, please contact HOPEWELL today.